Thank you to all the contributors who submitted their work to help us shape the Resilient Cities 2019 program. The evaluation and selection process will start shortly and will end approximately by February. We will come back to you by then. How does the submission process work? Users need to create an account to manage their details and work before finally submitting the contribution to the program committee. While working on a draft and before leaving the submission page, please save periodically to avoid losing your changes. It is not necessary to log out. A user may draft and submit more than one submission under a single account. Note that contributions saved in a user account will not be submitted or reviewed until the final submit button is clicked. Contributors may submit more than one contribution; however a maximum of two contributions will be accepted for shaping the program of the Resilient Cities 2019 congress. Users may submit for themselves or on behalf of another contributor, up to two contributors. If your contribution is selected, primary and second contributors will be invited to speak at the congress. Therefore, please ensure your availability on the dates of the congress (26 – 28 June 2019) before submitting. All fields marked with a star (*) are mandatory. Contact details are required for all contributors and the person filling out the form (if different). All persons listed will receive a copy of the contribution (once it is submitted) to the email addresses provided. Please limit the characters for your job title, as it will appear on your attendee’s badge at the congress. In case you submitted a contribution on behalf of someone else and/or if you added a second contributor, (s)he/they will also receive a confirmation message. However, we would ask you to have these additional persons informed about the submission. Contributions can only be submitted online! Abstracts in Word/PDF formats sent by email will NOT be considered for selection. The Call for Contributions to the 2019 Resilient Cities conference will remain open from 17 September until 16 November 2018, 11:59pm (CET – Central European Time). Following the deadline, submissions will be reviewed by the program committee. Contributors will receive notification regarding the outcomes of their submission in February 2019. 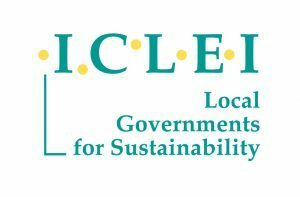 Contributors accept that through submitting their information to the Resilient Cities 2019 Call for Contributions they assign to ICLEI a non-exclusive, royalty free basis copyright license for these documents. This includes the right by ICLEI to distribute the documents, or parts thereof, via congress materials, including the program booklet and session descriptions, as well as digitally through the ICLEI websites. Accepted contributions shall be presented by their author(s) at the congress. Should you have any questions do not hesitate to email us at resilient.cities@iclei.org or call us: +49–(0)228 / 976 299-28. If accepted as speakers at Resilient Cities 2019, contributors are required to pay a reduced speakers’ fee. For an indication of the congress fee structure, please see here. If you are a contributor from a developing country and you are not able to match the registration fee, please contact us.